Of course this simulator may be serve "only" as a fun gadget, but surely it's real destiny is to be used for flight training, respectively as a procedure trainer. 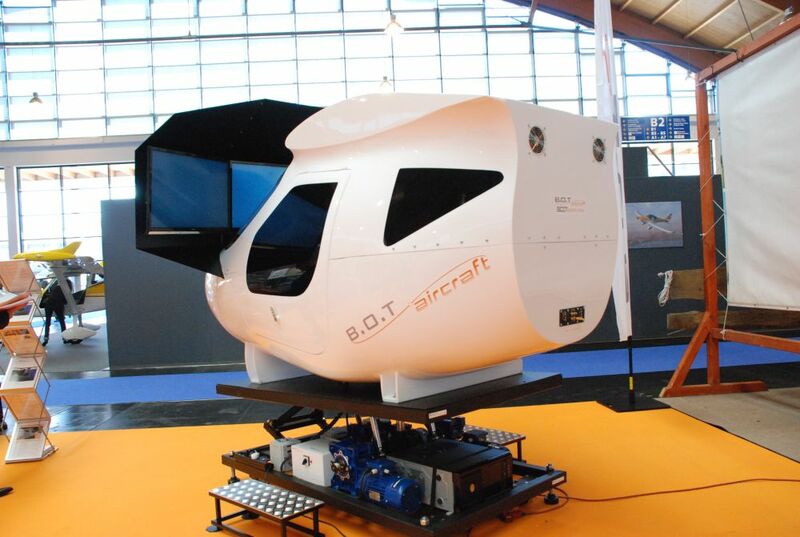 The simulator is ideal to train such procedures as take-off and landing, but as to train situations of emergency. We also took care to optimize this simulator for voice training. All pilot trainee and experienced pilots know, that it is a complete different task to communicate with a tower, while one has to fly a traffic circuit, keep the traffic in sight or even has to handle an emergency. 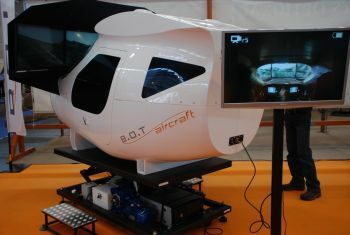 Further more the simulator is available for training independently of the weather or the day time. 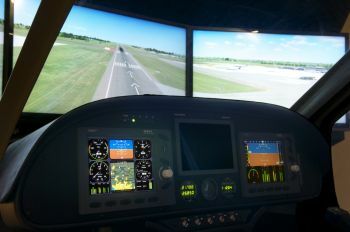 The simulator is an perfect supplementation for flight schools. It does not replace flight hours in a real aircraft, but may help to reduce the required flight hours. Pilot trainees gets much easier familiarized with the instruments and the controls, if they have the possibility to try without pressure how it works in a flight simulator before hand. For this reason it is a great advantage, that the flight simulator is a 2-seater model, which enable the flight instructor to take place on the co-pilot seat and to correct the control movements of the pilot trainee, exactly like in a real aircraft. We offer also, as an option, a instructor station, which allows another person (second instructor for example) to interfere into the program to create for example emergencies. This station serves also as a working place for the person simulating the tower while voice training. 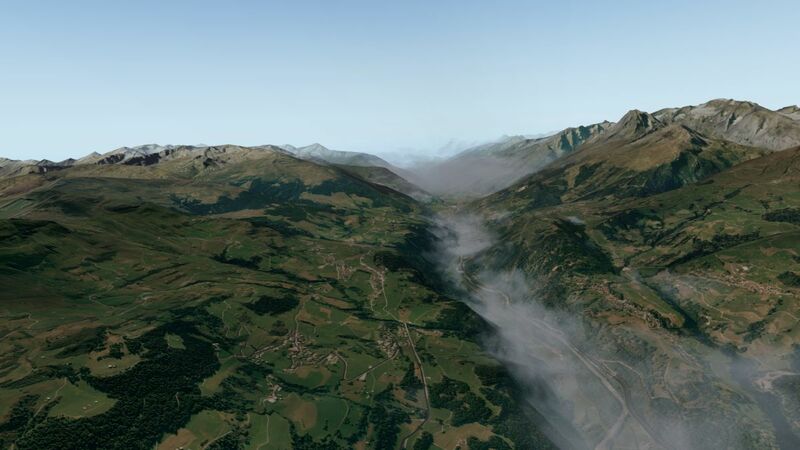 this is why such a simulator is the perfect training basis, not only for pilot trainees, but also for experienced pilots, which would like to review their personal emergency management. We are also working on the possibility to simulate the activation of the rescue system. This means the pilot can at any time activate the recue system and the simulator will then show the typical big noise, coming from the rocket which pulls out the parachute and the punch coming from the opening of the parachute. It has been found out that many pilots which were in a critical situation did not activated the recue system, because they did not had that reflex programmed, and had therefore a fatal accident. If one could train such activation in a flight simulator, the inhibition threshold is much lower. The simulator is also a real visitor magnet and there are a few companies which used this effect with success. Please contact us for more information and for a quotation. We will inform you about dealer in your region. Please note that we are still looking for new dealer in some regions.